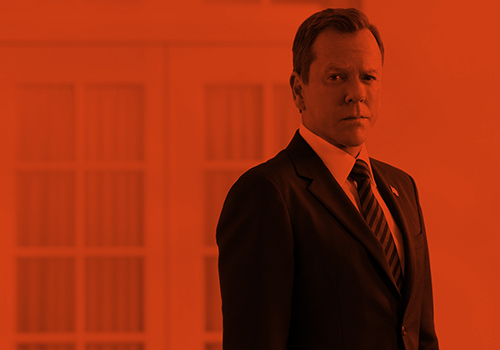 At long last, 24 is back on our TV screen! I must admit, this is the first time I’ve ever had to watch the show live… I didn’t even know of the show until about 2 years ago when my husband introduced me to it. I’ve only seen the series one time though, and if I had more time in the day, I would probably be watching it constantly over and over again! I’m not sure how I feel about having to wait a week to see what happens next, but I guess we’ll all have to muddle though, huh? Home > 24 > 24: Live Another Day (2014) > Episode Captures > 11:00 A.M. – 12:00 P.M.
Home > 24 > 24: Live Another Day (2014) > Episode Captures > 12:00 P.M. – 1:00 P.M. This entry was posted by Courtney on Tuesday, May 6th, 2014 at 1:15 pm. It is filed under 24: Live Another Day, Photos, Screen Captures. You can follow any responses to this entry through the Comments Feed.